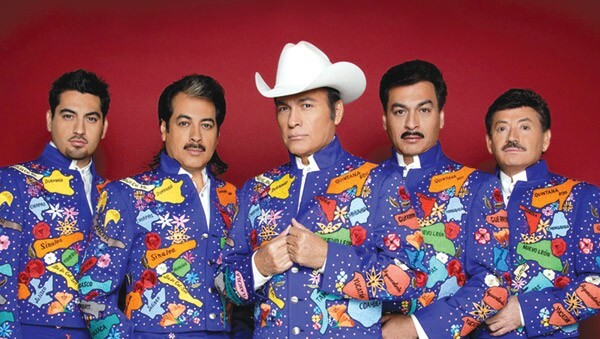 Los Tigres del Norte play Sunday, March 11, at the Wells Fargo Center. 50 Mark West Springs Road, Santa Rosa. 6pm. $46–$88. 707.546.3600. EL JEFE Jorge Hernandez, center, is a fearless poetic hero to millions of Latinos. The five members of Los Tigres del Norte, four brothers and a cousin, might best be described as the Rolling Stones of norteño music. 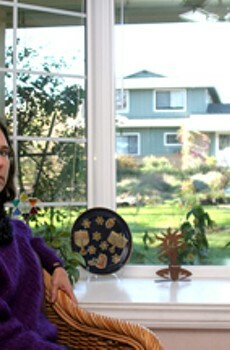 Founded over 40 years ago, the band is more popular than ever, and their name is recognizable in any Latino household. They have sold over 34 million records, won five Grammy awards and have performed for audiences larger than 100,000. Their set lists are built primarily from audience requests spanning a catalogue of over 55 albums, and their concerts last on average for three to four hours. The accordionist, lead singer and jefe of the group is Jorge Hernandez, the oldest of the brothers, and the only one who appears onstage in a hat. He is now 68. Three years ago, in Monterrey, Mexico, he tells me, he led Los Tigres del Norte in a concert lasting seven hours, from 2am until 9am. "I hope one day I do it again," he says, on the phone near the Mexican border. "The sky was beautiful, the morning was nice, and the people woke up from their homes and started coming to the show." Large, long concerts—Hernandez calls them "dances"—are as central to Los Tigres as their custom-tailored wardrobe. Last year, they headlined the 19,000-seat HP Pavilion in their home city of San Jose. This week, Los Tigres play in Santa Rosa at the 1,600-seat Wells Fargo Center, a deliberate choice, Hernandez says, to play for "the people who used to go see us before." The concert also marks a geographic return to the real-life inspiration for a Los Tigres song which Hernandez says he dedicates to the vineyard workers of Sonoma County. "One day I was driving, me and my wife, through the wine country. And we saw them, and I stopped and talked to them, and we made a song called 'De Paisano a Paisano.'" In the song, workers in fields, farms, vineyards, hotels, restaurants and construction sites break their backs—"like a beast in heat"—while their bosses live in luxurious mansions. "That song," Hernandez continues, "I made it exactly because I saw the way they worked, and I was trying to put them in a better spot." In this sense, Los Tigres del Norte are also the Bruce Springsteen of norteño music. 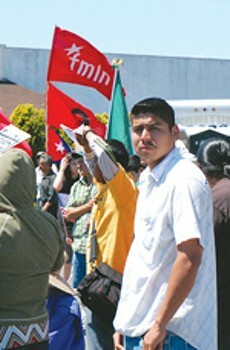 ("I hope one day I can meet him and shake hands," says Hernandez.) Like Springsteen's, their lyrics speak for the working class, the disaffected, the ones who subsist on dreams. Their corridos reveal the injustices, inequality and racism that are part of everyday existence for immigrants in America, and the band continues to boycott Arizona in protest of SB 1070. "We haven't been there since this problem started getting stronger for our people," Hernandez says. An Assembly bill would let county sheriffs opt out of collaborating with ICE. Is Sonoma County even interested?